Clear your weekend schedule: PBS just started streaming some of its most iconic cooking shows on Amazon. Starting today, you can sign up for a new service called PBS Living, which includes both newer and classic series focused on food, culture, and home. The plan costs $2.99 per month (after a free seven-day trial), and grants you access to shows like Milk Street, America's Test Kitchen, A Moveable Feast, and—perhaps the network's most famous cooking series—The French Chef with Julia Child. Check out the full food programming lineup, below. PBS's most popular cooking series, America's Test Kitchen covers equipment reviews, taste tests, tips, and recipes. In these recent seasons, the team covers everything from “Grown-Up Comfort Classics” (Simple Stovetop Macaroni and Cheese and Turkey Meatloaf with Ketchup-Brown Sugar Glaze) to “Simple Chinese Staples” (Three-Cup Chicken and Smashed Cucumbers). Chef Christopher Kimball travels the world to meet international cooks and learn how to make their favorite home recipes. This series follows two "passionate food explorers of a certain age" on a mission to check off every item on their culinary bucket lists (and then recreate said items at home). Chef Ming Tsai invites his famous food-world buddies over to cook their signature dishes. Recent special guests include Jacques Pepin, Masaharu Morimoto, and Carla Hall. Chefs Pete Evans and Michelle Bernstein travel around the world to meet culinary innovators and create pop-up feasts in places like Mexico City, San Francisco, and Bermuda. 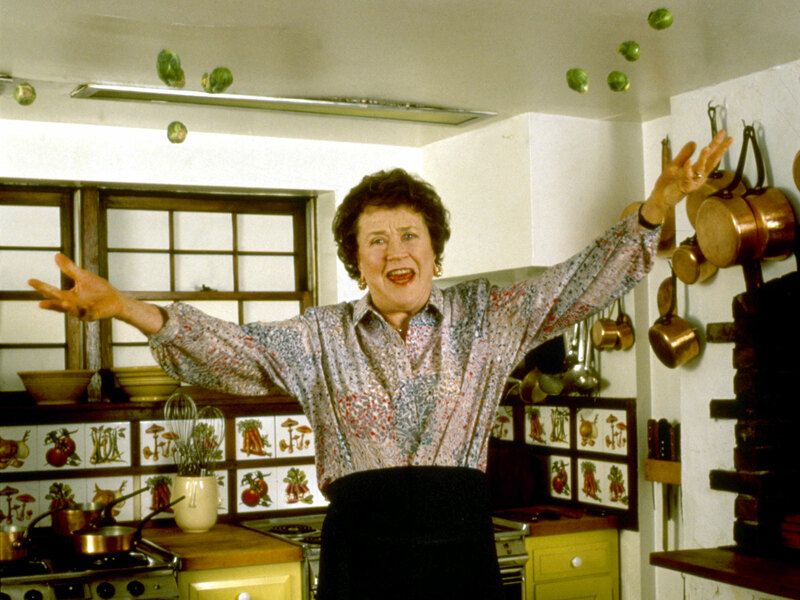 This is the program that rocketed Julia Child to fame in 1963 (and the show that brought French cooking into the homes of millions of Americans for the first time). In episode one, Child makes her signature boeuf bourguignon, and introduces the world to her larger than life persona. An offshoot of America's Test Kitchen, this show focuses on the best regional home cooking in the country (and demonstrates how to perfect classic American recipes). Chef Vivian Howard combs the farms and fields of North Carolina's low country in search of seasonal ingredients for her restaurants' menus. Pitmaster Aaron Franklin, owner of Franklin Barbecue in Austin,Texas, criss-crosses the country in search of the restaurants, cooks, and foods that define great BBQ. FOOD & WINE has always gone way beyond mere eating and drinking. From travel and entertaining to luxury and design, we bring an energetic and stylish take on living well—covering the many areas of our readers’ lives that intersect with their love of food and wine.